Osteoporosis in axial spondyloarthritis may be modified by therapy. 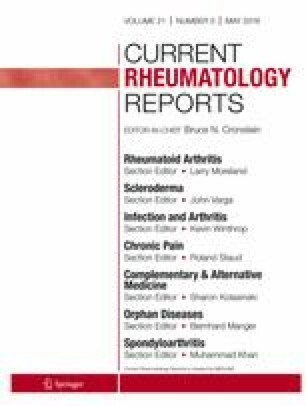 The purpose of this systematic review is to describe (i) the effect of TNFi on BMD, (ii) the effect of secukinumab on BMD, and (iii) the effect of secukinumab on radiographic disease progression in axSpA. We searched PubMed, Embase, and Cochrane using the following retrieval languages: spondyloarthritis, ankylosing spondylitis, TNF, IL-17, x-rays, and osteoporosis. Twenty-nine studies were included; 27 re: TNFi and BMD, and 2 re: IL-17 blockers and x-ray progression. TNFi over 2–4 years increased BMD of the lumbar spine (3.2–14.9%) and hip (2.26–4.7%) without reducing vertebral fractures. Secukinumab reduced radiographic progression; none (73%) and minimal (79%) at 4 years. No data on IL-17 blockade and bone were found. TNFi therapy improves bone density but not vertebral fracture rates. Secukinumab improves symptoms and may slow radiographic progression. Data is lacking regarding the effects of secukinumab on BMD and fractures. These are important questions which may impact the choice of therapy. The authors thank Haley Tornberg—research assistant. DA, EMS, and SMG contributed to the conception and design of the review and assessed all papers, data extraction, and quality assessment. DA, EMG, RG, and SMG performed the literature search. DA drafted the paper; EMS and SMG revised the article for important intellectual content. All authors gave final approval of the version to be published. Dr. Goodman reports grants from Novartis, personal fees from Novartis, personal fees from Pfizer, personal fees from UCB, grants from Horizon, outside the submitted work. Dr. Ashany reports grants from Novartis, outside the submitted work. Emily M. Stein and Rie Goto declare that they have no conflict of interest.